Are the gates to your property looking old and tired? Do you want to improve the look and security of your home with a new fence? With over 32 years of experience in Balconies , you can be sure the service you receive is second to none. 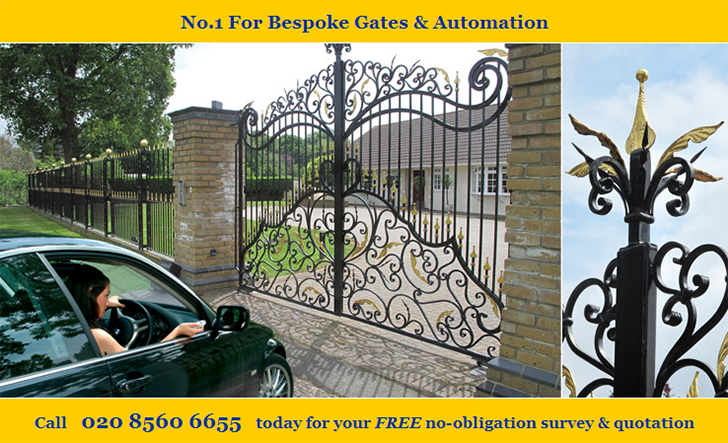 We can install gates, electric gates, railings and traditional iron work in the South West London area. Over these years we have worked hard to develop a superb reputation throughout Greater London, Surrey, Sussex and Middlesex for high quality workmanship at very competitive prices. Our team is dedicated to customer satisfaction, which is why we will work with you right from the design stage all the way to the final installation and commissioning. Also with our after sales service, you have an unbeatable all round package of the highest standard. Should you have any questions or want more information, please do not hesitate to contact by calling the number on this page. Alternatively you can fill in the handy form on our Contact Us page and we will respond to you as soon as possible.